Home » Regional Cinema » 2.0: UAE PM Sheikh Mohammed bin Rashid Al Maktoum to grace the Rs. 12 crore audio launch of Rajinikanth, Akshay Kumar film? It is known that the much awaited audio launch of Shankar film 2.0 is scheduled to be held in Dubai on Friday. The event is all set to be a star studded event with the lead cast of the film, Rajinikanth, Akshay Kumar and Amy Jackson along with the music composer AR Rahman. Catch had previously reported that Rajinikanth's friend and superstar Kamal Haasan will be attending the audio launch of 2.0. And now, to make the 2.0 audio launch even bigger, the makers, Lyca productions have approached a royal guest for their event. 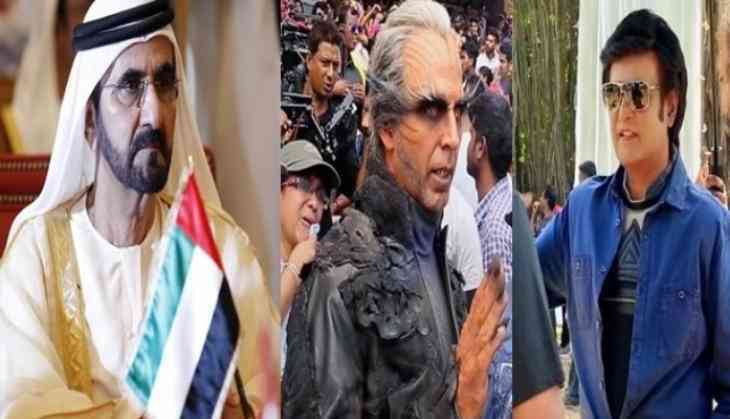 Reportedly, none other than UAE Prime Minister and Dubai ruler Sheikh Mohammed bin Rashid Al Maktoum might grace the event, which is tipped to be the biggest audio launch ever. The makers have spent a massive Rs. 12 crore on the event to make it a royal event for the Dubai ruler. An official confirmation on this is expected to be announced soon.